It may also be caused by injuries to the tendons muscles and ligament in a person's back which is a serious medical conditions. 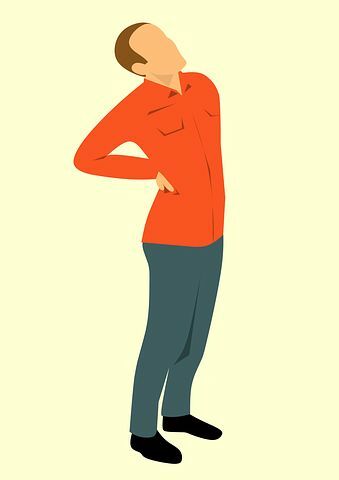 There are activities that could cause back spasms, like; Lifting a heavy object or engaging in sports that demands the back to turn repeatedly and suddenly like football and golf etc. It may also result in one's back being more vulnerable or/and having weak abdominal muscles. With stiff or weak muscles, the back can be injured more easily than to a muscle that is strong and more limber. Arthritis(in the lower back) can also caused back spasms because it can put pressure in the spinal cord. It can happen as a result of raptured disk in a person's spine, it can also put pressure on a nerve which will result in back pain. Hakuna-matata because there are ways or remedies to alleviate back spasms pain. Cold Therapy : Apply Ice in the area that hurts, which can be done inform of massaging for a duration 12 minutes. The cold that comes from the ice will not just relieve the back pain but could also redud inflammation that occurs within the surrounding tissues and muscle. Note : Applying of ice can be done fo the whole day in the painful area with 20 minutes break interval between iceing sessions. Improve Your Posture : It may be easier said than done. Correcting your posture may not be that easy because it may took dictated years of habits but once corrected would be of great benefit to your body. Always try sitting up straight in a structure which has no support and in a relaxing chair. Dynamic Stretching : According to medlineplus, gentle stretching can be done to strengthen the lower back. This can relieve and also prevent muscle cramps. The pelvic tilts presses to strengthen and increase flexibility in the back. Back Strengthening Excercise : Leg liftening excercise should be done to strenthen the back whivh will inturn aid to loosen up tight muscle. There are many excercises that can relieve back pain spasms. consult a proffessional trainer for more concise excerise. Thanks for health tip from pain.